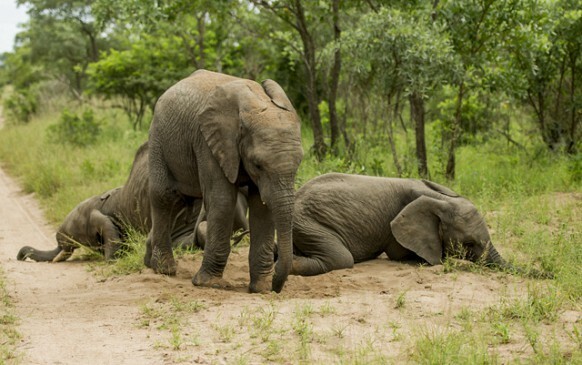 Elephant calves photographed wandering across Kruger National Park after consuming intoxicating marula fruit. 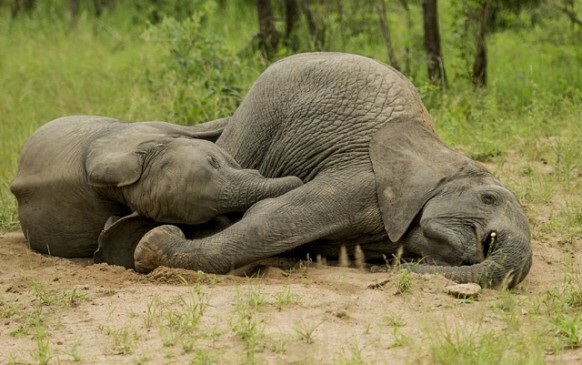 A Kruger National Park warden captured some endearing images of young elephants in South Africa behaving like drunkards. Field guide Ross Couper photographed the calves after they had consumed huge quantities of the sweet and tart marula fruit, which is known to have an intoxicating effect on the large mammals. Once the fruit is fully ripened it falls to the ground. If left for long enough it will ferment over time and become alcoholic. Adult elephants can consume up to 30kg in a single day – approximately 714 marula fruit. 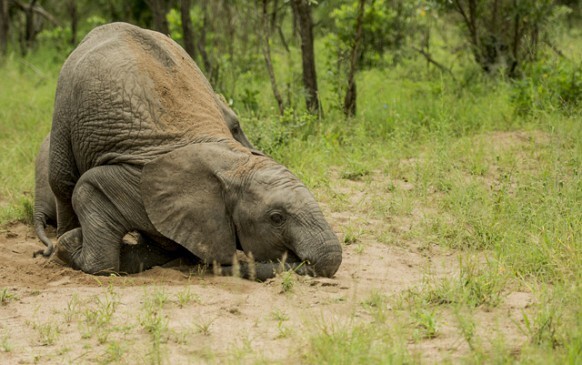 This year has seen an abundance of fallen marula, which has clearly proven to be a favourite among these young elephants.